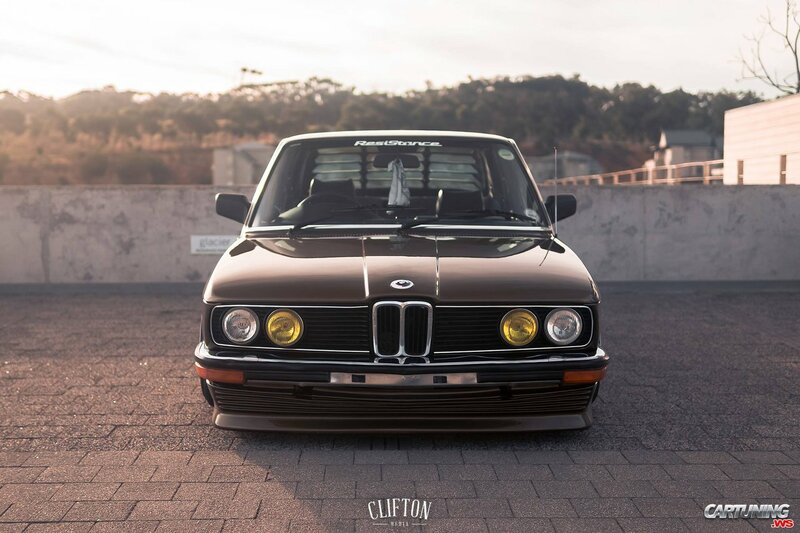 Brown BMW 525 E12 from South Africa. Car was fully restored. This car was produced in South Africa, so restoration was a little easier. Car was dropped and got rare wheels. Interior was restored too.